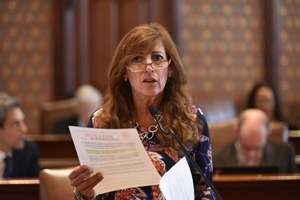 SPRINGFIELD – State Senator Linda Holmes (D-Aurora) advanced legislation to ban sales on ivory through the Illinois Senate earlier today. 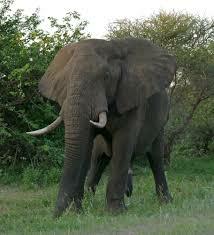 According to the World Wildlife Foundation, tens of thousands of elephants are killed every year for their ivory tusks. In the 1980s, it is estimated nearly 100,000 elephants were killed each year and up to 80 percent of herds were lost in some areas. 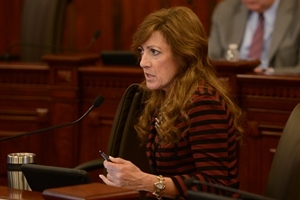 Holmes’ proposal, House Bill 4843, charges individuals caught selling ivory with a Class A misdemeanor and fine of up to $1000. 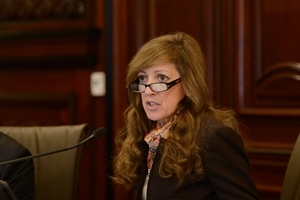 Holmes’ proposal passed the Illinois Senate with a vote of 49-0. It has now passed both chambers of the General Assembly.